Some new items for this week's "Gift Idea For The Book Lover"! 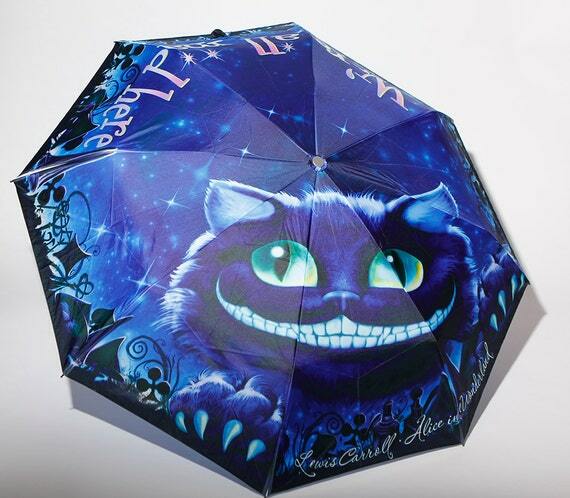 Scroll down below and check out this week's items and let me know which is your favorite? 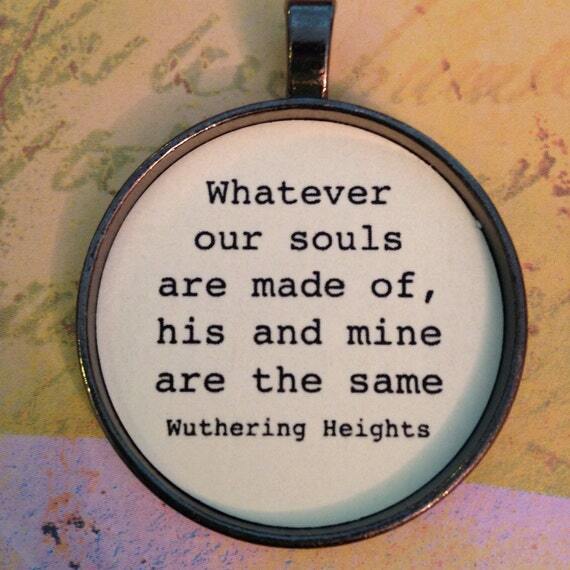 Literary Book Lover Wuthering Heights pendant or keychainsin bronze or silver. Medium (30mm diameter), Large (38mm diameter). THE KEYCHAINS/PENDANTS CAN BE CUSTOM MADE JUST FOR YOU! Do you have a favorite quote, favorite lines from a song, an inspirational message or a funny saying? Put it on a keychain! Does your brother-in-law love the Rolling Stones or Old Westerns? Pick a quote and have a keychain made for the perfect gift! Give your sister a pendant with a sweet quote from Winnie the Pooh! The keychains or pendants come wrapped in a kraft pillow box tied with pretty ribbon. 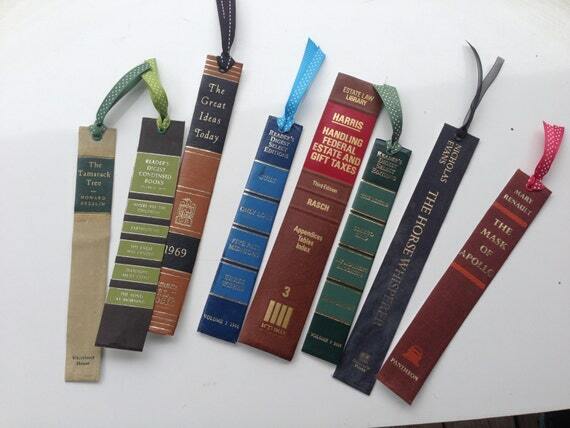 These gorgeous book marks are made from the spine's of old books. They are a unique and fun way to keep your place. Each one is from a different book and the sizes vary. There is only of each available. Make sure to choose which "book" you want. 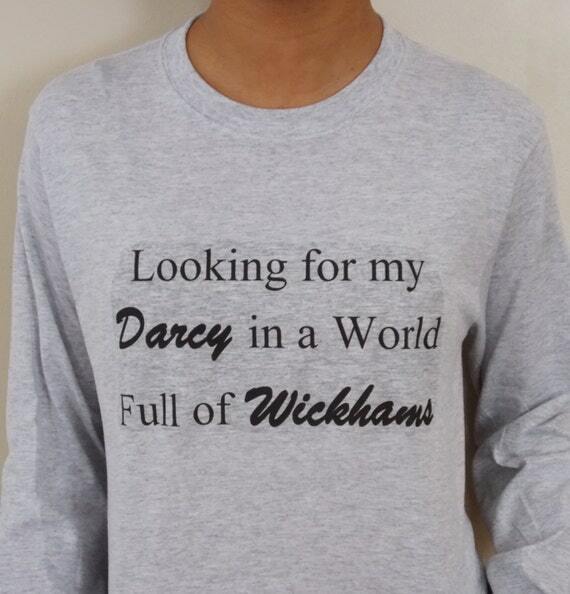 Looking for My Darcy Pride and Prejudice Long Sleeve T-Shirt. Want a unique single girl shirt? This Pride and Prejudice inspired shirt is for you! Looking for my Darcy in a World Full of Wickhams. Unisex sizes Small- XL in Gray or White. Choose your size and color from the menu. 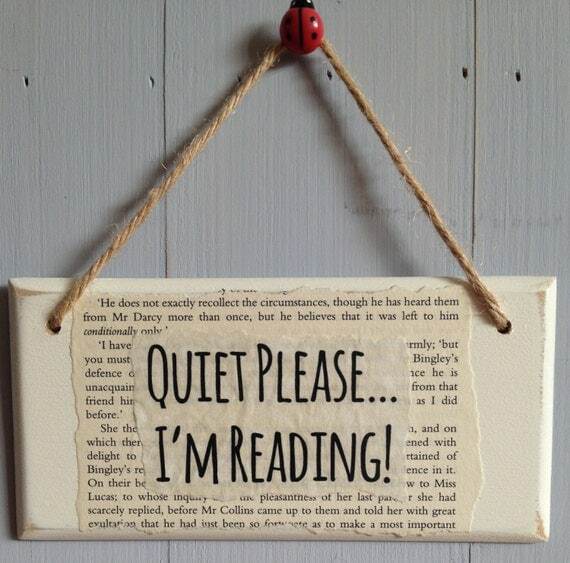 The perfect gift for booklovers/readers/students/librarians seeking peace and quiet!